PROTECT AGAINST EVERYDAY TOXINS: Discover these two powerful detoxifiers that help eliminate heavy metals and toxic pollutants for a cleaner, greener you. SUPERGREEN HEALTH BOOST: Power your body with plant-based superfoods and nothing artificial. 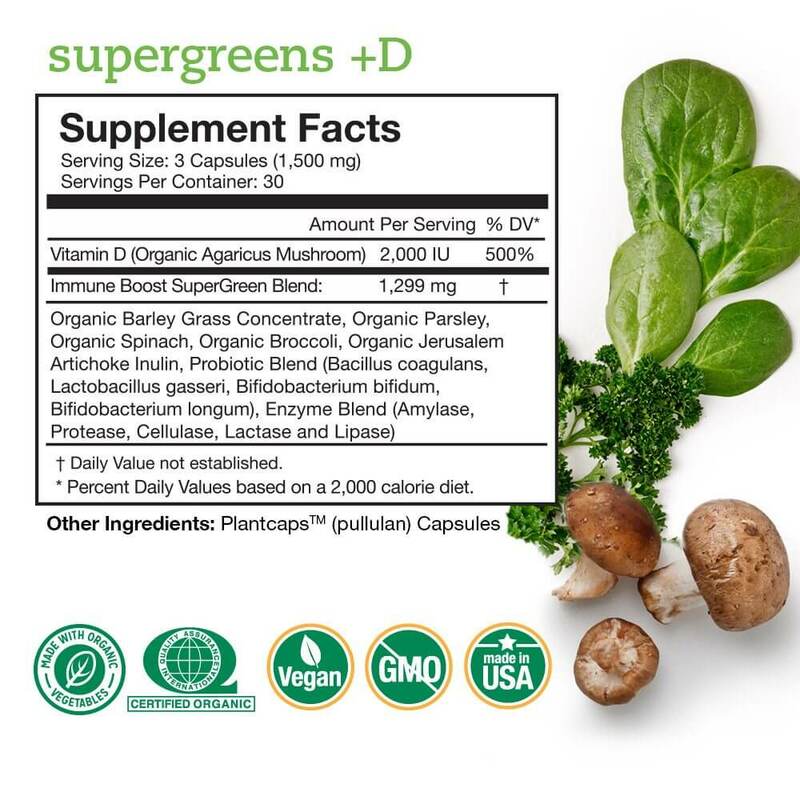 Supergreens +D uses certified organic, non-GMO and vegan ingredients. DETOXIFY WITH ZEOLITE: Trust nature's detoxifier to cleanse your body and digestive system of toxins, heavy metals and pollutants. ENJOY A NATURAL DETOX: Our liquid zeolite suspension is 100% natural, non-GMO, non-toxic, vegetarian and safe for long-term use to support your well-being. Supercharge your health with two powerful detoxifiers. Pure Body and Supergreens +D work together to protect against everyday toxins. Put them together and you have a detox that covers heavy metals AND toxic volatile organics for a cleaner, greener you. Toxins are increasingly showing up in our bodies simply because they are everywhere in our environment. You can thank coal-burning plants, fertilizers, household cleaners, and second-hand smoke, to name a few. Fortunately, nature provides protection against many of the toxic elements we encounter every day. Clinoptilolite—a negatively-charged natural mineral zeolite—works like a magnet, attracting positively-charged toxins, carrying them out of the body within hours. Not every toxin is positively-charged for Clinoptilolite to capture. That’s where greens can supercharge your detoxification. Organic greens like parsley, spinach and barley grass are full of chlorophyll—it’s what gives them their green color—and this natural pigment is known for its protective detoxification properties. And with 2,000 IU of vegan vitamin D in every serving of Supergreens, you’ll get an extra immunity boost as you detox. The Detox Plus Pack includes (1) Pure Body and (1) Supergreens +D so you can supercharge your detox and savor pack savings.